If you ever harboured the desire to play some amazing, yet completely bonkers games, they don’t get any more insane than the games in the Bayonetta series. 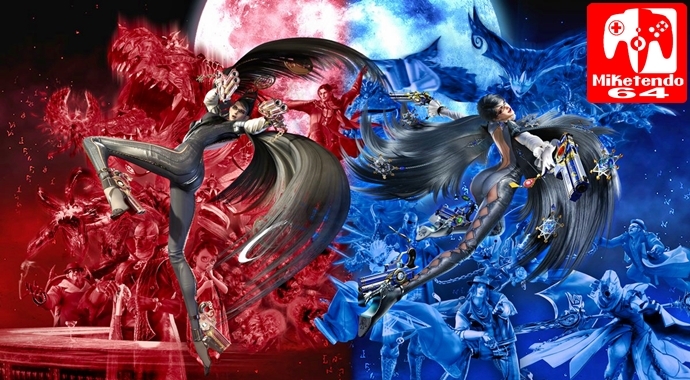 From a long-legged, no nonsense heroine to fluid combat and Angles that can be both punished and tortured, Bayonetta and Bayonetta 2 are 2 of PlatinumGames’ finest creations and having debuted on a number of platforms over the years, this month their coming to Switch and they are just as good as they have ever been, if not better! From looking beautiful, to seemingly playing without error, Bayonetta 1 and 2, don’t just feel like a good fir on Switch, but with both games making use of touch screen controls, there’s something for everyone, but here’s the thing. I could talk your ear off about these two games all day long, because there is a lot to say about them, even if they are games we’ve seen before. So, instead of doing that, today, I’m going to silence my lips and let my fingers do all the work, when it comes to time to share my reviews of these classic titles, come the 14th of February, since that’s when the review embargo lifts. did the game(s) run at 60fps?, if so was the framerate stable? Both run at 60fps at 720p. Seems very stable. we’re talking handheld mode right?